A state Assembly committee has abandoned plans to vote this week on an incentive package for Foxconn. Republican leaders in the chamber still say though that they expect to bring the bill to the floor for a vote near the end of next week. 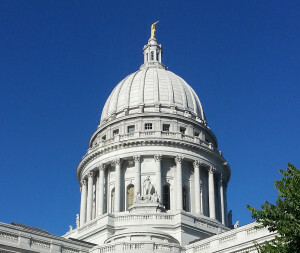 The Assembly Committee on Jobs and the Economy held a hearing on the proposal last week, which would authorize $3 billion in tax incentives for the Taiwanese technology company’s plan to build a major factory in southeastern Wisconsin. A committee vote on the bill had been expected first on Tuesday and then on Thursday, but that’s now being delayed until early next week as amendments are worked on. In an interview with WRN, Neylon said between 50 to 60 amendments have been at least unofficially proposed, and he expects they will take up a broad range of possible changes to the bill. Those could include some technical amendments, along with changes to how the bill handles workforce training and environmental protections. “All sorts of ideas that people have floated that we have done our best to try to incorporate…to make sure it is the best product,” he said. Assembly Republican Leader Jim Steineke (R-Kaukauna) said a vote on the bill in the full Assembly could take place near the end of next week. “I fully expect that after taking the weekend to review potential amendments, we will see a committee vote early in the week and the bill on the Assembly floor as soon as August 17th,” he said in a statement. While the Assembly has been pushing for a vote on the bill, the state Senate has so far shown no signs they are ready to move on the proposal. Senate GOP Leader Scott Fitzgerald previously said his members are focused on passing the overdue state budget.